Sami Khedira was one of the most impressive midfielders playing in the World Cup this Summer and he had a vital role in helping his team to reach the final against Argentina; nevertheless, he does not seem to be part of Carlo Ancelotti’s plans for the season to come at Real Madrid. 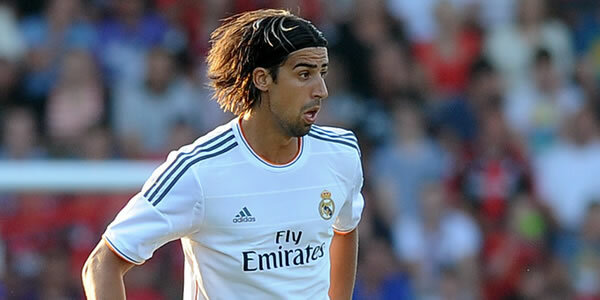 Will Guardiola be able to persuade Khedira to join Bayern Munich? After missing a great deal of last season’s matches due to a severe injury, Khedira managed to make a comeback in great style and, alongside with Toni Kroos and Bastian Schweinsteiger, formed the best midfield trio of the past Brazilian World Cup. With no room at the current European champions’ midfield line, the interest on Khedira is thought to be high, with several Old Continent top teams interested in his services. After having allegedly rejected an offer from Arsenal, Khedira might be willing to listen to other options, and according to the Spanish media, Pep Guardiola’s Bayern Munich are ready to make a move for him. Although an hypothetical offer from the Bavarian team might seem tempting, the truth is, at least according to media, that Bayern are only interested in having Khedira in 2015 as soon as the current season ends. The German midfielder only has one year left in his current contract with Real Madrid and if he fails to sign a new deal with Los Blancos, he will leave for free next Summer. Bayern, on the other hand, are apparently not interested in paying his transfer fee and they have reportedly established talks with Khedira in order to persuade him to stay another season with Real Madrid and join them as soon as his contract is over. The arrival of James Rodríguez and Toni Kroos has considerably reduced the chances of Sami Khedira of grabbing a place at Real Madrid’s midfield but it also doesn’t seem feasible or fair that someone with such an immense talent to spend an entire season as a benchwarmer in order to leave for free to Bayern Munich next Summer. The German side will need to be very persuasive to convince the 27-year old player, who already missed great part of the last campaign due to injury, to spend another year “watching” his team mates play from the bench or even from the stands. If this is to be true, Real Madrid officials are certainly not very happy with the way the German team is operating and Khedira could eventually to be the one getting the short end of the stick when this uncommon situation is over.